thanks to photovoltaics, it is possible to acquire electricity directly from solar energy, which as everyone knows is widely available and completely free! In June 2016 we launched a microinstallation of photovoltaic power plant of power 39,69 kW (one of the first in our region), co-financed by the Regional Fund for Environmental Protection and Water Management in Katowice. Thanks to the efficient and professional approach of WFOŚiGW in Katowice employees, the project was completed in a record time. The photovoltaic system was placed on the roof of our Hall No. 2 and consists of 141 panels, with a capacity of 315W each. It can produce about 200 kWh of energy daily, which is entirely used for our own needs. By this installation we will manage to reduce the CO2 emissions by 32.4 tons per year, which in terms of saved trees gives – up to 109 pcs each year. The exemplary cooperation with the Regional Fund for Environmental Protection and Water Management in Katowice in the project of Atmosphere Protection and implementation of the project ‘Construction of the photovoltaic system with a capacity of 39.69 kW for the needs of POL-EKO-APPARATURA sp.j. A. Polok-Kowalska, S. Kowalski at ul. 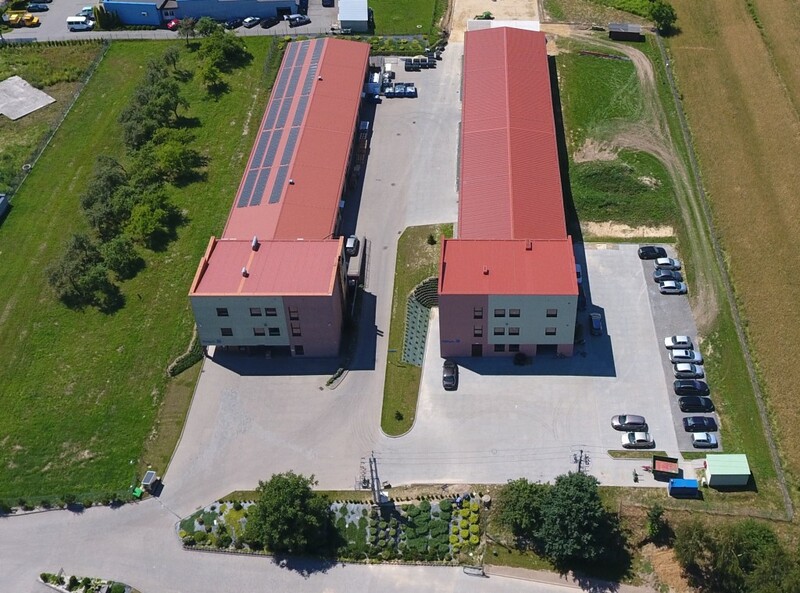 Kokoszycka 172C in Wodzislaw Slaski’, confirmed our belief that this is the right direction of development, so we are planning further expansion of the photovoltaic power plant, which is eventually going to reach reach 140 kW. This is one of the first facilities in our region. A company from Wodzisław saves 109 trees per year. A company from Wodzisław saves 109 trees per year.